Educators are looking to making as a way of engaging students in authentic learning experiences that help to reinforce the skills that we want our children to master. Although there is excitement that surrounds making, there is also hesitation, unease, and mystery. Questions pop up when exploring making and considering its application to an educational setting: What exactly is making? How does this truly impact a student’s learning? The MAKESHOP Principles of Practice are one way of defining and articulating the practice of making. When I look at these principles, which include Inquiry, Developing Fluency, Seeking and Sharing Resources, and Intention, I reflect on how they can be applied to any context or discipline. Many of these principles are addressed in our curriculum at Winchester Thurston School. 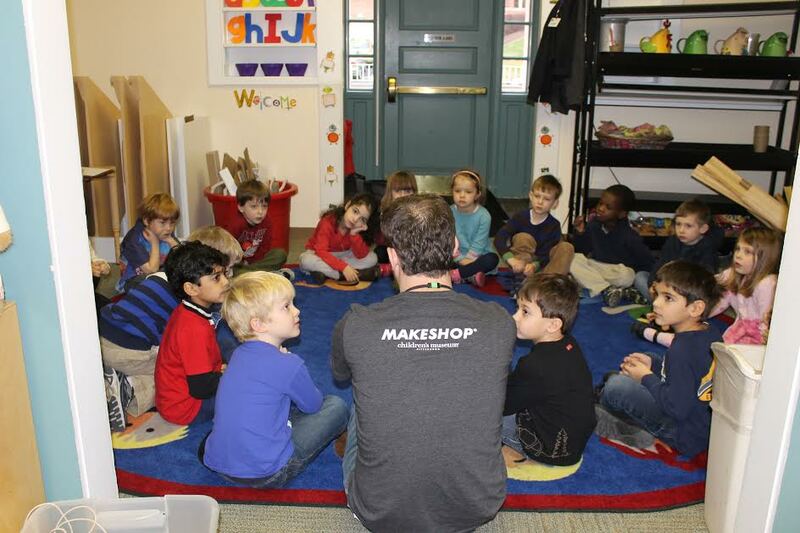 In our Lower School, our youngest students tinker as they play, explore, build, break, and repurpose. This works leads to a developing fluency that allows the students to clearly communicate intention and express ideas. For example, our Kindergarten students, who regularly create with recycled materials, became incredibly fascinated with paper airplanes. The teachers capitalized on this interest by allowing the students to experiment with various forms of flight, including parachutes and kites, with hands-on making of paper airplanes. As students developed fluency the teachers were able to guide students to more complex questions of balance and weight without relying on direct instruction of these important curricular concepts. Students were then able to incorporate these concepts into their making of the paper airplanes with more intentionality. At the more advanced grade levels students are asked to design solutions to problems that they are passionate and concerned about. This work grants them access to various materials and tools, which they use increasingly complex ways. Intention is once again an important skill since they must clearly identify a personal goal and work toward achieving it. Students use the process of inquiry to better understand their community and the issues that impact it. They think critically about those issues, and consider ways of finding and sharing resources that could help to address those community issues. For example, in Urban Research and Design, a project-based course for seniors, students design actual solutions to community issues through the hacking and repurposing of existing structures, processes, and ideas. This work might include studying the redevelopment of a neighborhood site, interviewing stakeholders, and proposing their own ideas to the developers. Through all of this work, the students are learning how to be a part of a broader community in which they borrow from and contribute to. Making goes beyond using tools and materials. It is more than art, crafting, and trade. The skills that children develop through exposure to making processes are helpful in all situations of their learning. I encourage all educators to think deeply about the work that they are already doing while considering how the Principles of Practice can help to modify, revamp, or reimagine learning experiences. Adam Nye is the Director of City as Our Campus at Winchester Thurston School. Adam received a B.S. in Education and Public Policy from the Pennsylvania State University and a Masters of Education from the University of Pittsburgh. Adam has worked with several nonprofits, including the Children’s Museum of Pittsburgh and Thinkery in Austin, TX.